Noise Modelling is a powerful tool to assess noise from industrial facilities with a large number of noise sources. 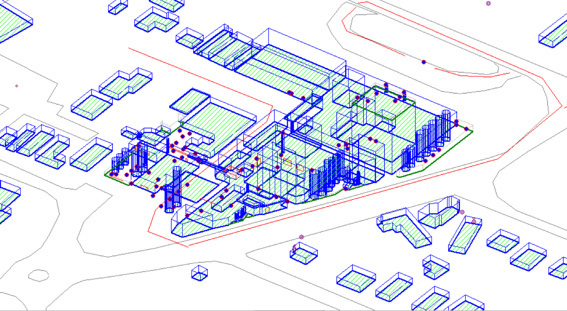 JTA utilises SoundPLAN noise modelling software and state of the art computing to create models of existing and proposed facilities, and predict the emitted noise level at residential receivers. This means you can know what noise levels are likely to be from a design still on the drawing board. Accuracy in the predicted result is important as we know how costly treatments can be, and how much more expensive retrospective rectification works are. To make sure we provide accurate advice, we utilise market leading techniques to cost effectively create highly accurate noise models that consistently replicate real world noise levels. 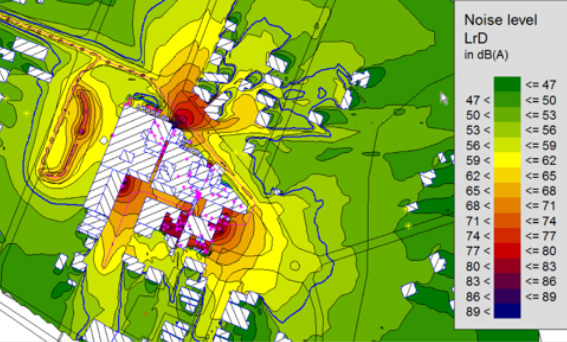 Noise Modelling is generally the most cost effective and accurate method when a high level of understanding is required for environmental noise issues for complex, sensitive or large sites. We’re specialists in Noise Modelling and can assist with planning, licence and permit conditions for solving industrial, construction and traffic noise issues. Our qualified and experienced Acoustic Consultants will help you navigate any requirements from the EPA, Council or Legislation and ensure you are compliant. Utilising our noise modelling software, we’ll highlight anticipated noise issues so that you can cost in acoustic treatments, rearrange production equipment layouts or make building design changes before building even starts. The impact environmental noise has on people depends on the noise level, the noise characteristics and how it is perceived by the person affected by it. Scientific studies have proven that widespread exposure to environmental noise has an impact on health, wellbeing and productivity. As a result, addressing the impact of environmental noise is increasingly being included in the planning and design stages of building projects. Environmental noise legislation, designed to protect the community from exposure to unacceptable noise levels, varies significantly between Australian States and Territories. For both of these scenarios, the ability to determine exactly how much each individual noise source is required to be controlled is vital. More importantly, necessary treatments can be inputted into the model to verify their effectiveness before implementation, potentially saving huge costs, reducing downtime and protecting reputations. Figure 1: Wire frame model of industrial plant including primary noise sources and ground contours. Figure 2: Noise contour map of industrial plant. Bold blue contour outlines perimeter where compliance with relevant Regulation is achieved. Read about Construction noise – Are you meeting the standards?